Mrs. John W. Cristner, Dallas, Texas; Christie's, New York, 30 November - 1 December 1979, lot 166. The present model of the little boy running, Le Coureur, is from a group of children modeled by Etienne-Maurice Falconet between 1764 and 1766. For a detailed discussion of the group, see Marie Noëlle Pinot de Villechon amd Véronique Milande, Falconet à Sèvres 1757-1766 ou l'art de plaire, Exhibition Catalogue, Musée National de Céramique, Sèvres, 6th November 2001 - 4th February 2002, p. 125-131, cat. nos. 53-65. 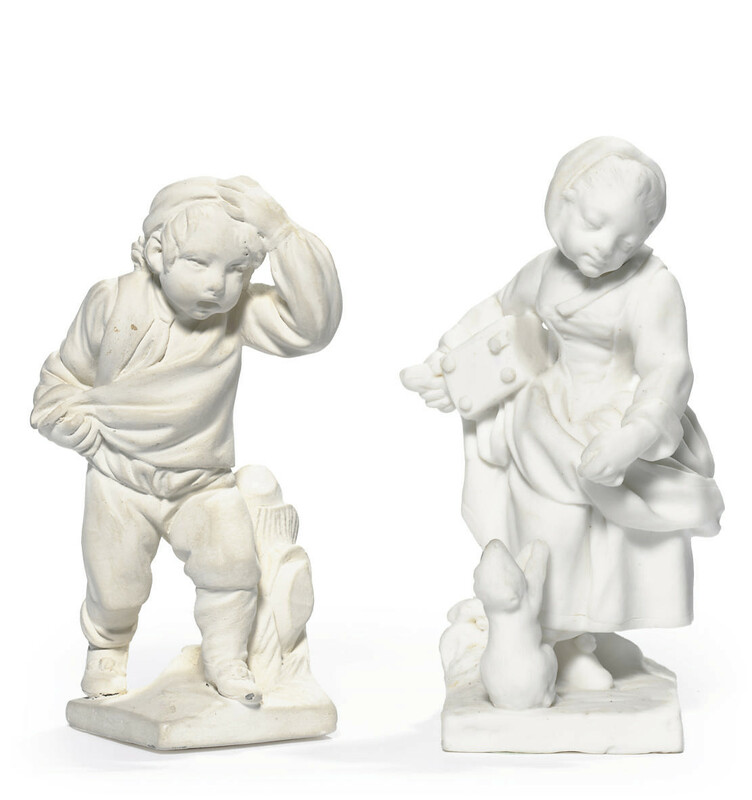 For three other figures from this series, see Property from the Estate of Roama Spears, Christie's, London, 31 March 2008, lot 12.